Your living room is the hub of your home. It’s where you catch up with your loved ones, where you entertain guests, and where you make beautiful memories. Decorating your living room with the right home furnishings can be difficult on your own. There are many different measurements, styles, and sizes that can work in your space, but how do you choose the right one? That’s where we can help. At Encore Consign + Design, we have an abundance of living room furniture sets to make designing your living room as simple as possible. From sofas and sectionals to chairs and chaises, we have some of the best designer-inspired, consignment living room furniture sets for your space. At Encore, we are prepared to assist you in all of your consignment and design needs. If you have unused or gently used furniture that you would like to see in our showroom, we are here to help. We have over 23,000 square feet of space where we strategically stage all of the living room furniture sets and other home furnishings to increase sales and visibility. To learn more about the benefits you can receive from consigning your furniture at Encore, we invite and encourage you to click on the button below. 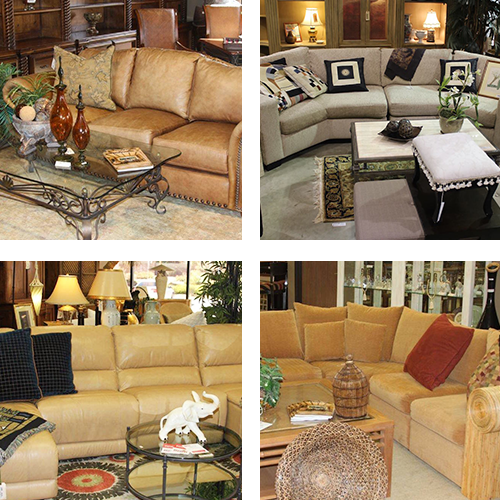 From the moment you step into our consignment furniture store, you’ll notice a difference. You’ll instantly be greeted by our friendly design specialists that will take the time to get to know your personal style and help you find the exact home furnishings you desire. No matter if you know exactly what you’re looking for or are simply looking for an inspiration, we’re here to assist you in all of your consignment and design needs.